Cemetery software is any tool created to aid cemetery managers with tasks like tracking and organizing plot owners, finances, and other day-to-day tasks. While cemeteries function much like any other business, there are specialized software needs related to maintaining records and cemetery plots. Cemetery software can help cemetery managers stay organized and perform day-to-day tasks such as billing accounts and other finances. While cemetery owners and managers will need much of the same software as any other small business, specialized cemetery software is helpful for cemetery-specific needs. 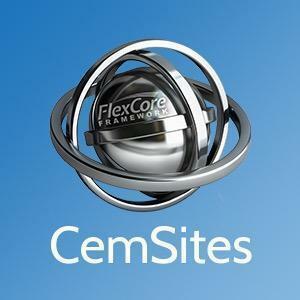 The CemOffice suite is a very powerful set of tools that will allow you and your business to realize a professional image, and keep the internal work of your business running smoothly, efficiently, and effortlessly. Solutions Delivered Brilliantly. With a rapidly changing service expectation and customer profile, the way in which a business in the death care industry needs to engage with their markets and customers, is placing new demands on their operational systems. These systems need to be extended to drive their business strategies and to cater for the changing market landscape. OpusXenta are leaders in providing solutions that are critical to the success of a business's strategy while also assisting them in improving their customers' experience, reducing sales friction and driving revenue growth so that they can focus on their strategy and not the systems that underpin it. Plotbox is a cemetery and crematorium management software. At the core of Pontem's Cemetery Management System is a powerful data manager that allows users to track all information about gravesites, owners, occupants and more via an one-screen user interface designed to make the system as easy to learn as it is to use. Instead of logging everything on cards, in books and in file folders, you will enter it into a laptop or tablet computer as you meet with families. The information is immediately accessible by anyone else in your company who needs to process the case further. Cemetery Software is a tool for death care industry to save information of cemetery records, it maintains burial space information and optimizes cemetery searches, accounting practices and inventory entries. Cemetery software provides cemetery managers with tools to maintain a cemetery and its burial records. The advantages of upgrading to a digital solution are numerous, including GIS mapping for accurate cemetery mapping, a database and burial search, and work orders and work order tracking. By digitizing many of these manual tasks, staff can spend more time with clients and less time searching for and filling out documents. Technology can also streamline day-to-day operations, making it easy to plan and schedule funeral services, maintain a general ledger, and other back-office tasks such as accounting and employee scheduling. Cemetery software is designed specifically for the death care industry. While a cemetery could use a variety of basic business management software, cemetery software can support the unique needs of the cemetery industry. Whether that be an integrated cemetery mapping software to easily track available and occupied burial plots or heritage preservation services to register and preserve historic gravesites, cemetery software provides all these tools in one place. Some cemeteries are larger than others, and some are much older than others. As a result, there can be varying amounts of records that need to be maintained. You may even be in charge of digitizing decades of records, which means either manual input or importing a lot of data. Either way, digital records are worth the initial time investment because they will make it easy to find information for years to come. 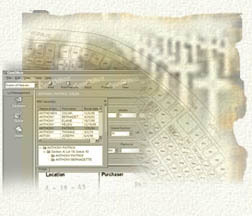 Cemetery software also makes it possible to make your cemetery burial records available online. This allows families, historians, and simply curious individuals to see who is buried in your cemetery and other relevant information such as their burial date or death date. This is incredibly useful for families doing genealogical research and historians seeking information on significant individuals or burial trends during a certain time period. Making your information easily accessible to others may increase the number of visitors. Digitizing maintenance tickets and other back office tasks also makes it much easier to organize your business. A digital record of maintenance tasks as well as the possibility for automated tasks makes it much easier to ensure that nothing falls through the cracks. Regardless of the size of your cemetery, budget is likely a primary concern when buying software. As a cemetery manager, you’re budgeting for landscaping, office supplies and tools, and other responsibilities. However, a dedicated cemetery management solution will likely cost less than using several other tools to cover all of your needs. Mapping Tools — Some cemetery software allows users to draw out a map of cemetery plots so you can know which are available and which are not. Some may even be able to use satellite imagery. This can make it much easier than using a solely numerical system. Not only does it help the manager, but it could be useful to visitors wishing to know where their friend or relative’s plot is located. Integrations — While some cemetery software may be essentially a one-stop software shop, you may want yours to integrate with software you already use. Perhaps you already own accounting or CRM software and want to be able to see your accounts payable against your monthly sales. A good cemetery solution will accommodate all your business needs, either in one place or by integrating the tools you already use. Accounting and Other Business Management Tools — Depending on the software you’re already using, you may need different features than someone who is starting from scratch. For instance, some cemetery software might include financial tools, which is perfect for a manager who doesn’t already have accounting software. Some may include employee management or payroll tools to help manage your workforce. Some may include contact databases for clients and vendors such as florists or caterers so you never lose an important phone number. Tools to help run the back end of the business can make it much easier to stay organized. Information Kiosks — Cemeteries can be large and sprawling, so it can be difficult to find the specific plot you are looking for if you are not already familiar with the cemetery. Information kiosks that run on a tablet or other screen make it easy for visitors to find the information they are looking for without needing a cemetery manager or groundskeeper. While not all solutions will offer this, the option is helpful if you run an large cemetery with many visitors. The information kiosk may also include a searchable database for those who don’t necessarily want to find a specific plot but simply want to know if their loved one or ancestor is buried within your cemetery. Cemetery software is used by both cemetery managers and cemetery maintenance staff. Rather than rely on separate cemetery mapping software and facility management software, cemetery manager and maintenance crews can operate out of the same solution so everyone has access to the same data and tasks remain clear and organized. Some software may even help maintain a website with key information for potential clients. Cemetery Managers —Cemetery managers or caretakers are tasked with running the cemetery on a day-to-day basis and interacting with clients. Cemetery managers need to know which plots are available and which are not so they can sell these unoccupied plots to clients. Accurate record keeping is extremely important since a plot may be sold but go unoccupied for years. Cemetery managers also help organize and schedule burial and funeral services, so they must have an accurate calendar and an awareness of which assets are being used at any given time. More typical business tasks such as accounting and employee management are also handled by cemetery managers. Cemetery Maintenance Staff or Groundskeepers—Groundskeepers and other maintenance staff maintain the cemetery grounds, repair grave markers, and dig graves. These are all labor-intensive tasks that can take several hours at a time. In order to remain organized and ensure that graves are dug when and where they are needed, cemetery software can provide task management tools and maintenance requests. Maintenance requests ensure that specific tasks are completed as they are required, but can also be budgeted with more urgent tasks such as preparing a grave for a burial service. Cemetery software can also help ensure that maintenance staff and groundskeepers have all the tools they need to perform their tasks by maintaining an inventory of available equipment. Cemetery Mapping — Cemetery mapping tools allow cemetery managers to know exactly which plots are available and which are occupied. This map can then be updated on a day-to-day basis as plots are sold and filled. Maintenance Requests — Cemetery managers can easily coordinate work orders and maintenance using tools that create tickets, task lists, or notifications for maintenance staff. Managers can then track the completion of those work orders or tasks. Some tools may even be able to set up recurring tickets for regular maintenance. Record Keeping — Cemeteries rely on accurate records, and digitizing those records is currently the best way to preserve them. Cemetery software will allow cemetery managers to import old records and create new records going forward. In some cases, these records can be customized to contain whatever information that administrators feel is needed. Information Kiosks — Information kiosks allow visitors to quickly and easily access information about the cemetery. These kiosks may run on a tablet or other touch screen in the main office or other space near the entrance of the cemetery. Visitors may be able to access a database of individuals buried in the cemetery, where their plot is located, and relevant information such as when they were buried. The kiosk may also provide a map so visitors can easily find the specific plot they are looking for. Back Office Tools — Back office tools aid cemetery caretakers with the day-to-day operations of running their business. These tools may include accounting tools, contact databases, calendar and scheduling tools, and employee management tools. These features may not be cemetery-specific, but they are important for running any business. Hi there! Can I help you find the best Cemetery solutions?